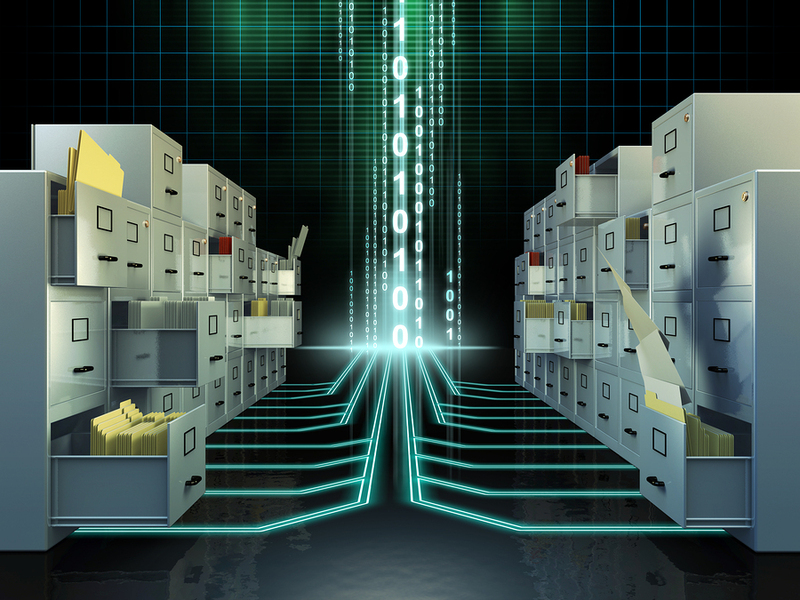 Are Electronic Document Management Systems The Future? The way that businesses store important information has changed dramatically in the last 10 years. We have gone from using paper documents as the primary way to store and access business information to a hybrid system of paper and digital files. Instead of relying on file boxes, secure information is now stored on servers, computers behind encrypted firewalls, or cloud storage services, making them more secure and easier to access. Many companies have converted their record management systems into electronic document management systems, or EDMS to make their companies more efficient. As time passed, there has been a progression of older businesses making the transition to an EDMS, while start-ups and newly founded businesses choose to optimize their record storage with electronic data management immediately. This change is rapidly increasing because digital files are easier to maintain and easy to share. If you need to share a file with someone, you can have them access it or send it immediately instead of having to scan or copy it. Digital files save time and helps improve the workflow of your office- it even reduces the chance of older versions of files being passed along accidentally. Most companies have already converted to an electronic document system with digital files- and the migration will continue to grow over time. Regardless of the technological changes on the horizon, digital file storage is here to stay. Get Free Quotes on Electronic Document Management Systems Today! Record Nations can help you find the electronic document management system that fits your company’s requirements. Our experts will guide you through the process from choosing the system to deciding what fields need to be indexed and searchable. To get started, fill out the form to the right, or give us a call at (866) 385-3706. Within minutes of receiving your request, you will have free quotes from experts in your area that can help you. If you’d like to learn more about electronic document management systems, visit our articles section or check out our blog!